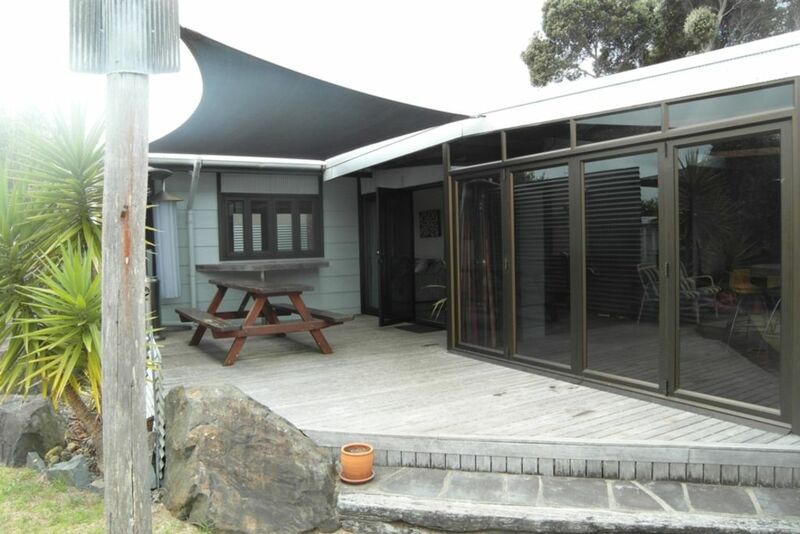 This modern and bright beach house is located just 800m from Whangamata beach and 50m from the nine hole local golf course and is ideally suited for multiple families and friends. The unique 'two-wing' layout offers two separate self contained living areas (featuring kitchen, bedrooms and bathrooms) which are joined by a central hosting hub - a covered deck area with large bar, seating and separate kitchen facilities. The property comes kitted out for holiday bliss with mod cons throughout, large sand pit, kids swings and trampoline, beach trolley, fully fenced, bikes, BBQ and outdoor woodfire oven. Just a short walk or drive from the ever popular Whangamata town centre renowned for it's shopping and eateries. Very child friendly. Safe section with closed gate and concrete driveway to ride bikes & scooters, etc. Great set up for families. Lots to amuse the little ones. Quiet location & walking distance to town & beach. Location was absolutely perfect, we could walk to town and the beach. The property had everything plus more. The spaces worked extremely well and we loved the entertainment area joining the two living wings. A fabulous property that made our stay very enjoyable. Awesome house and location for our extended family vacation. More like 2 houses connected by a sheltered patio and bar area. Quiet location with easy walking distance to beach and town. House was clean, comfortable and fully equipped with everything we needed and more. Hope to be back again soon! The bach was perfect for our group of adventure racers, with plenty of bed options, two bathrooms and two kitchens. We had everything we needed and would love to come back when we're not out for 12 hours racing, to be able to relax in the conservatory bar! We loved our time here! The house is incredibly versatile, offering a variety of activity options and spaces to relax. We loved the central entertainment area, it has everything you need! This house has everything you need for a weekend away with friends.